The Chamber is pleased to welcome the following new members! First off, I would like to thank the community of Pittsburg and all of the participating businesses in the Shop Small Saturday Selfie Contest event. My wife and I spent several hours that Saturday shopping, having fun and taking advantage of the deals in our local shops. Secondly, I would like to thank the many people at the Chamber of Commerce, the Pittsburg Main Street Board, and volunteers who worked tirelessly to make this event happen. I much appreciate all of the items donated by local business owners. I always like to give back to the community as much as I can so I am working with local organizations and together we will redistribute a lot of the donations to households and families that can use them. Merry Christmas from the Hall’s! On the morning of Tuesday, December 11, nearly 400 Kindergarten and first-grade students will be dropping off their letters to Santa at the North Pole mailbox in downtown Pittsburg. We have committed to responding to each letter but will need the help of a few dedicated elves! The return letters will be written and stuffed. Volunteers are required to address the envelopes and fill out a “good behavior” certificate for each child. 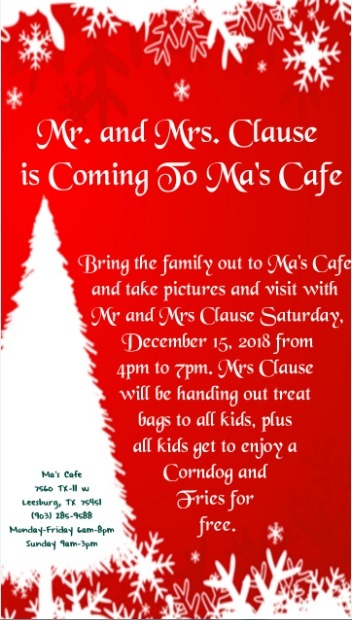 Our “stuffing” party will begin at 2:30 p.m. on Wednesday, December 12, here at the Chamber office. Reading the children’s letters to Santa is a blast. You’ll have a smile on your face all afternoon, we can promise you. Please let us know if you are able to join us. Give us a call at 903-856-3442. Thank you in advance to everyone who is able to assist! 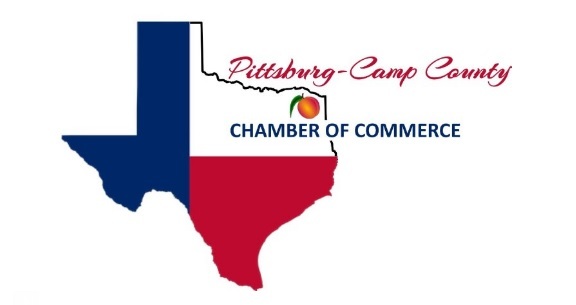 At this time, the Pittsburg-Camp County Chamber of Commerce is expanding its Board of Directors. Board members determine the policies and activities of the Chamber of Commerce, are responsible for employing and terminating Chamber employees, direct the work of the Executive Director, enter into contracts on behalf of the Chamber, and will order the disbursements of funds. Board members serve a three-year term and are expected to attend monthly meetings and assist with the various projects and events held throughout the year. 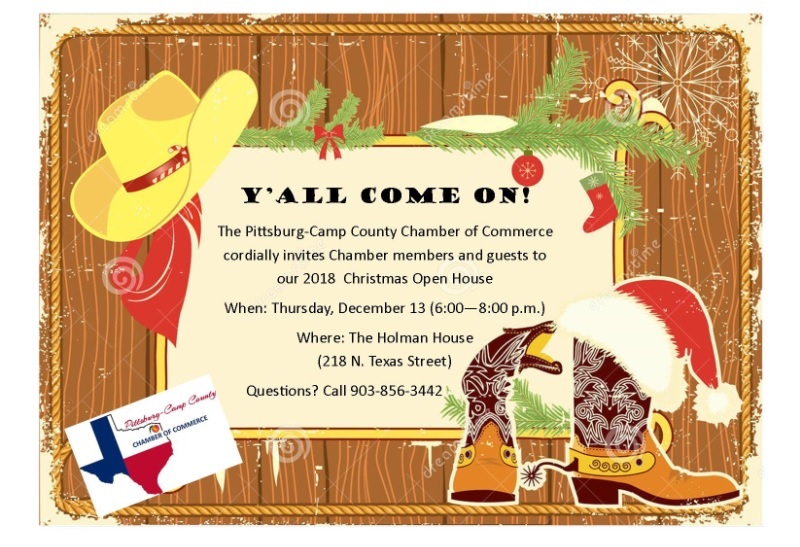 The Pittsburg-Camp County Chamber of Commerce Board of Directors is an active and program driven board, and the members represent a cross-section of our community. Potential Board members will be reviewed and elected at the Chamber Board meeting on January 8 and will be presented to the Chamber membership at the Banquet on January 31. If you would like more information on serving on the Board, please contact Christine Jackson at 903-856-3442 or info@pittsburgcampcountychamber.com for an application. still has 60 angels to be adopted. Please help make a child’s Christmas dreams come true! 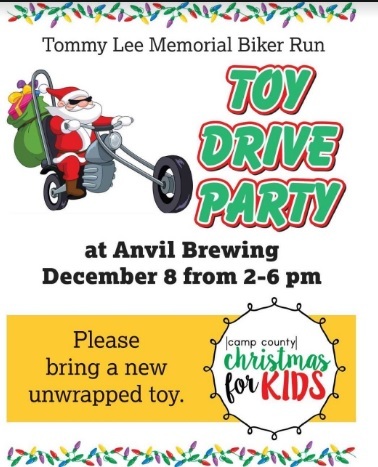 To adopt a child, please visit the Facebook page – Camp County Christmas for Kids and comment on the angel that you’d like to choose or call Elaine Barnwell at 903-856-0828. Gifts must be returned by 5:00 p.m. on Tuesday, December 11, and can be dropped off at Tommy Lee Insurance (145 Jefferson). Don’t have time to shop for a child? Monetary donations are welcome as well!